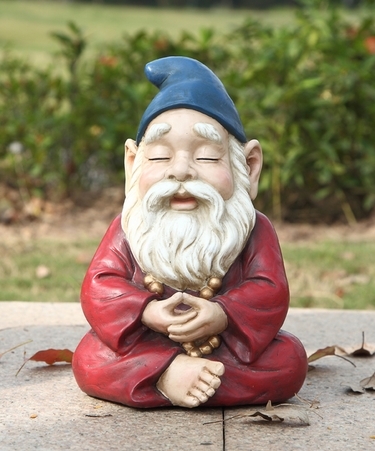 Add calmness and serenity to your garden with our new Master Zen Gnome peacefully sitting in the lotus position. The figurine's back has a detailed engraving of the Zen symbol. Great for your yoga studio, meditation room, or anywhere that needs a bit of peaceful humor. Made of durable poly-resin for indoor or outdoor display! Size: 7"L x 6.25"W x 10"H. Approx. 2.5 lbs.